The article below ran in Munich last week. It explains many of the technicalities of conducting the Live to Projection scores. The original piece is in German. Beneath that is an English translation courtesy of Sabsi. Thanks, Sabsi! Those of you joining us in London this coming week can now better appreciate the intense juggling act Maestro Wicki is performing on stage! After conducting The Two Towers, Ludwig Wicki feels as if he had fought in the battle of Helm’s Deep. Winded, exhausted. But happy, for he is victorious. 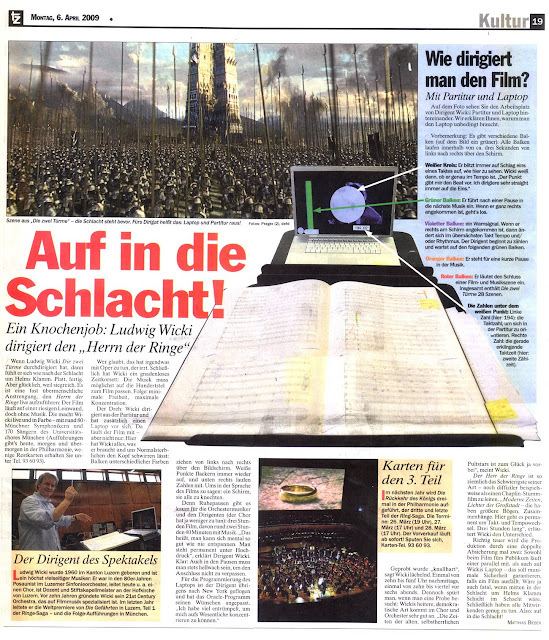 It’s an almost Herculean exertion to perform The Lord of the Rings live: the movie is shown on a huge screen, but without the music, which is played by Wicki live and in color – along with about 80 members of the Munich Symphony Orchestra and 170 singers of the University Choir of Munich (performances will take place today, tomorrow and the day after tomorrow at the Philharmonic Hall, a few remaining tickets are available at 93 60 93). If you think, this has something to do with opera, you’re wrong. After all, Wicki has to deal with a merciless time corset: The music has to match the movie exactly - preferably to the centisecond. The consequence: minimal freedom, maximal concentration. The trick: Wicki has not just the score in front of him but a laptop as well. There he sees the movie – and more: This is everything he needs and what’s confusing the rest of us: colored stripes that move from the left side of the screen to the right, white flashing punches and figures. To quote the movie: One screen to rule them all. There are almost no breathing pauses for the orchestra and the conductor (the choir has a bit less to do): the movie runs for about three hours, the music for about 2 hours and 40 minutes. “That means, you can barely relax. You’re permanently under high tension.” conductor Wicki illustrates. Of course, even if there’s no music you have to pay attention, otherwise you’d miss your cue. The rehearsals were “uncompromising” Wicki says smilingly. On one day from 10am to 5pm and on an other from 10am to 5.45pm. Still, if you attend a rehearsal, you can sense it: Wicki’s cheerful, democratic nature appeals to choir and orchestra. “Fortunately, the times of the old, autocratic conductor’s stand stars are over.” Wicki says. What makes this production really expensive is the backup: The movie is shown on the big screen and on Wicki’s laptop – to ensure maximum security in case one system fails. 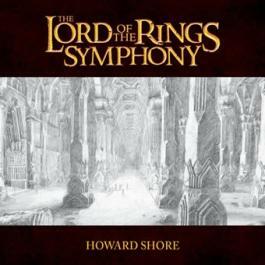 It would be fatal indeed if the music would stop right in the middle of the battle of Helm’s Deep, wouldn’t it? So: To battle! Ludwig Wicki was born 1960 in the Canton of Lucerne and is a very versatile musician: He was a trombonist in the Lucerne Symphonic Orchestra in the ‘80s, directs a choir, and is a lecturer and musical director of the Hof Church in Lucerne. Ten years ago he founded his 21st Century Symphony Orchestra, which is specializing in film music. Last year he conducted the world premiere of The Fellowship of the Ring in Lucerne, the first part of the Rings saga, – and the following performance in Munich. 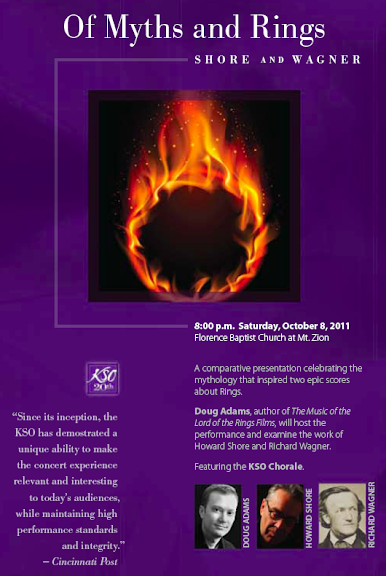 Next year, The Return of the King will be performed three times at the philharmonic hall, the third and last part of the Rings saga. Performance-dates: March 26 (7pm), March 27 (5pm) and March 28 (5pm). As of now, tickets are bookable. Hurry up! Ticket-phone: 93 60 93. How do you conduct a movie? On the picture you can see Maestro Wicki’s workplace, complete with score and Laptop. We’ll explain why the laptop is essential. Note: There are different stripes (the picture shows a green one). They are passing the screen from left to right in about three seconds. White circle: It flashes on the first beat of every bar. So Wicki knows whether he is in time or not. “The punch dictates the beat. I’m conducting straight on the downbeat." Green stripe: As soon as it has passed the screen, the music starts. Violet stripe: warning signal. After it passed the screen, the tempo and/or rhythm changes in the next bar but one. The conductor starts to count and waits for the following green stripe. Orange stripe: marks a short pause in the music. Red stripe: Marks the end of a movie/music scene. The Two Towers contains 28 scenes. Numbers beneath the white dot: Left figure (here: 194): number of the bar to orientate oneself in the score. Right figure: beat that is sounding just now (here: second beat).